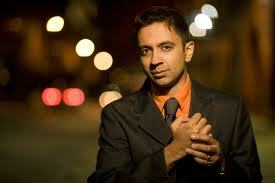 There's something special about the levels of signifyin at work in Vijay Iyer's covers of M.I.A. 's "Galang," Michael Jackson's "Human Nature," and Stevie Wonder's "Big Brother." Jazz musicians have adopted and adapted popular tunes for decades and decades now. Consider Miles Davis covering "My Funny Valentine" and Coltrane on "My Favorite Things." That kind of coverage actually becomes a form of signifyin, that is, an approach to referencing and reworking a 'master narrative' or familiar composition through artful and even sly ways. Iyer's covers, like the covers performed by various other jazz musicians, of popular songs reveal an instrumentalist transposing the voice of singers and other musical arrangements. The African American origins of jazz link practices of covering and signifyin to broad traditions of masking, passing, remixing, storying, constructing counter-narratives, sampling, coding, and displaying vernacular ideas. When jazz musicians cover pop tunes, they are in some ways performing the role of trickster figures, cleverly playing with concepts and audiences or bending rules and expectations to achieve a desired outcome. Iyer is American born and M.I.A. is British born. They are both of Tamil descent, and given their different musical genres, they might not have otherwise been linked. However, Iyer's decision to cover M.I.A. 's "Galang" brought the two together, musically at least, and in the process demonstrates a uniting force of instrumental coverage and signifyin. To the extent that both musicians would be viewed as being of India descent, Iyer's coverage of "Galang" carries notable connotations about how a musician establishes a link across an expansive space, in this case an Indian or Tamil diaspora. Or, to put this in a riddle: how did the American-born musician of Tamil descent cross the ocean? The answer: he signified. When Iyer covers "Galang" on his album Historicity (2009), you initially hear him invoking the melody of the song on the one hand and playing M.I.A. 's singing of the lyrics to the melody on the other hand. So his coverage represents the background for M.I.A's song as well as the actual lyrics. Beyond that, you also hear Iyer, bassist Stephan Crump, and drummer Marcus Gilmore exploring something beyond the original song. I'm still searching for the language to talk through what I'm hearing. When I listen to Iyer on "Galang," as I have way too many times at this point, I imagine that in addition to hearing M.I.A. I'm also hearing traces of Thelonius Monk. Certain phrasing on the piano in the song. But then, that could be my mind searching and reaching, recalling that Iyer has written that "there is an endless amount to learn from Monk. I always keep his music close by, and I think about him every day." While I'm uncertain if that's the ghost of Monk on the tune, I'm more convinced that when I encounter this cover of M.I.A's "Galang," among other things, I'm witnessing Vijay Iyer signifyin.